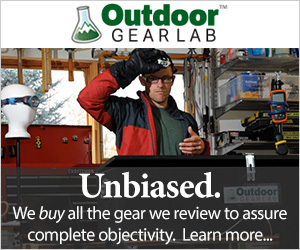 Deemed best of the best by our testers, there isn't a better combination of performance available from any model we have tested at OutdoorGearLab. This former Editors' Choice helmet has done it again. Coming from a company with a long history of protective equipment, the Smith Vantage MIPS excels in every category we use for the test. Its hybrid shell construction, MIPS technology, and easy BOA adjustment wheel lead to the perfect fit without sacrificing weight or protection. 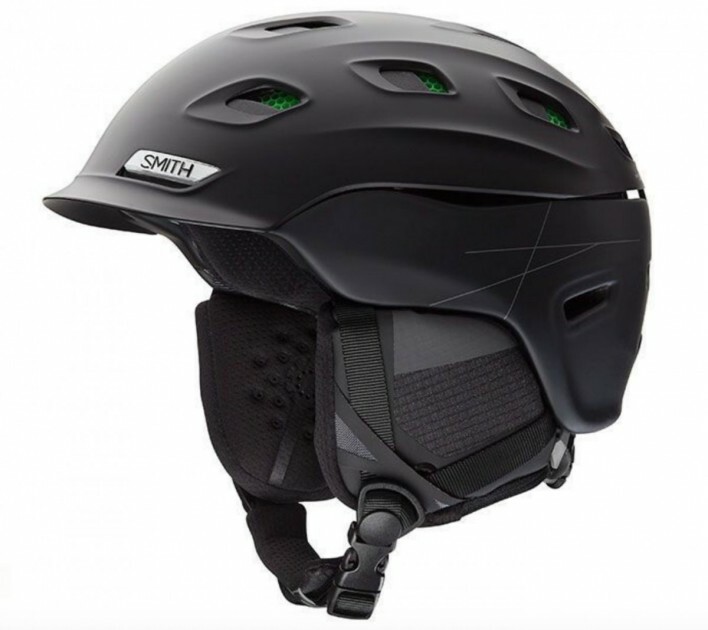 Just hold this helmet, and you can tell that its construction is top of the line and durable, making its high price worth it for a dedicated user. The interface between helmet and goggle was as good as it gets, with Smith goggles and goggles of other brands as well. The fit is comfortable and easy to adjust, and we found that it worked with a variety of head shapes and sizes. Ventilation is key for a helmet, and the Vantage provides it in spades. Easy-to-operate regulator switches and ideal vent placement make this helmet a perfect choice on the hottest of spring days or the coldest blizzard. Its sleek, trim design lead to nice lines and make it one of the most stylish helmets on the market. $260 is a lot of dough for a helmet, we get it. We don't factor price into our performance assessments, but we know you do. A lot of our testers agree that the Smith Variance is a great substitute for the Vantage, costing significantly less but giving up very little. If your purse strings are a bit tighter, we recommend checking that one out, too. The Vantage is out in a few new color options for this upcoming winter season. Though the colors have changed, everything else about this helmet remains the same. The Vantage is Smith's top-of-the-line snowsports helmet. In our test, it performed at the top of nearly every category. The Vantage, with its sophisticated lines and small visor, is one good looking helmet. As with most Smith helmets, the Vantage fits a wide range of head shapes, and we found this to be true during our test. The easy-to-adjust BOA wheel system makes it easy for this helmet to form to most head shapes. However, if you know your head is more oval-shaped and Smith helmets don't work for you, consider the Giro Zone MIPS for a similar helmet with a slightly different shape. Unlike its counterpart, the Quantum, we found no problem with the earpieces of the Vantage pressing too tightly against our ears and during several days of skiing noticed no hot spots. The Vantage scored high on the warmth rating. On the coldest of days, we could feel a little bit of air passing underneath the earpieces, which is its only flaw and one that is hard to correct without the ear pieces being too tight and causing pain. And on those single digit days, our testers were able to layer a thin beanie or buff under the helmet without any issues. On warmer storm days, however, our testers were able to wear the helmet with nothing on underneath, knowing that most other helmets would have required a light beanie or buff to stay warm. With a snug fit, tensioned earpieces, and all the vents closed, this helmet was one of the warmest that we tested. If this is a problem and you do end up sweating, the Vantage's antimicrobial lining will keep the helmet fresh after consecutive days on the hill. Seen with the Woolrich earpieces here; classy! This helmet has one of the highest scores for ventilation in our test group. Twenty-one vents that open and close make it easy to create a climate control for your head. The placement of the vents is ideal as well, optimally creating airflow through the helmet. Smith achieved this by dividing its vents into three groups with two different sliding closure mechanisms. The vents near the front and crown of the helmet are opened and closed by one slider, while the vents in the middle and back of the helmet use a separate slider. The Vantage's sliders were much smoother to operate than those on its cousin helmet, the Smith Variance and the only helmet that rivaled it for ventilation is the Smith Quantum. In the photo below, we can see the Vantage (on the left) and the Variance (right) from the back. The Vantage's two vent-slider switches are visible, and the Variance's one slider can be seen as well. The ability to open and close different sets of vents sets the Vantage apart from its competitors. As we mentioned above, the action on the Vantage's sliders is just much smoother and easier to operate than every other helmet we tested, which makes a big difference on the ski hill. This criterion is obvious in that it is super important to choose a helmet/goggle combo that works well and create a great seal. If you're in the market for both a helmet and goggles, it makes sense, if given the option, to choose products from the same company. Although we skied the Vantage with Smith goggles primarily, we found that its shape was conducive to a good fit with goggles from other companies as well. The other Smith helmets we tested performed well in this category as well, as did the Giro Ledge and Zone. For all of its features, 21 closable vents, removable earpieces, MIPS, and the BOA adjustment system, this helmet remains in the middle of the road in weight among our test group. This, combined with its sleek shape and appealing lines, proves that Smith can produce when it comes to top of the line engineering. Speaking of engineering, the Vantage, and its cousin the Quantum, are the only helmets we tested that utilized Koroyd, a material made of stacked, vertical tubes designed to crumple during impact. All of these features add a bit of weight to the Vantage but whether or not you could tell the difference with it on your head is up for debate. If weight is a huge concern of yours, then the Salomon MTN Lab and POC Fornix are both great helmets that are a bit lighter. The Vantage has pleasing lines and a sleek, defensive look. We tested it in Matte Forest Woolrich, and the striped, woolen earpieces were a big hit among reviewers. The Vantage comes in a wide variety of colors, from understated earth-tones to louder two-tone color schemes, Smith has you covered no matter what your style. Its small visor did not bother our testers at all; goggles stayed in place well when put up on the brim of the helmet, and the visor added a subtle style change. This is one of the nicest helmets on the market and its price speaks to that. If you're out logging dozens of days on the hill and want to know that your noggin is as comfortable and protected as can be, then spending the extra coin on a top of the line helmet like the Vantage will be well worth it. And if you can't (or don't want to) spend quite this much, the Smith Variance is another amazing all-around helmet for a slightly more reasonable price. Through testing a wide variety of helmets we have really come to the realization that you get what you pay for. Whether you're holding this helmet or wearing it, you can tell the utmost thought went into the design and production. It's well built and has all the bells and whistles, and if taken care of will last you a long while. When considering whether to spend this much money, it's important to remember that one crash can render any helmet ineffective, requiring replacement; but with a helmet, with this many protective features, it only takes one crash to know where your money went. Our Editors' Choice for a reason: sunny spring days or mid-winter pow, this helmet performs! If you spend a ton of time skiing and can afford it, you'll probably feel that throwing down for the nicest helmet out there is worth it. Backcountry $156.00 - 40% off! Amazon $189.89 - 27% off! REI $195.93 - 25% off!